The DoD is reporting a new death previously unreported by the military. Chief Warrant Officer Douglas M. Vose III died from small arms fire near Kabul, Afghanistan on Wednesday, July 29th. The DoD is reporting a new death previously unreported by the military. Pvt. Gerrick D. Smith died from injuries sustained from a non-combat related incident in Herat, Afghanistan on Wednesday, July 29th. The Washington Post is reporting the death of an American ISAF soldier from small arms fire - gun battle on Thursday, July 29th in an undisclosed location in southern Afghanistan. He died on Friday, July 30th. The Washington Post is reporting the death of another American ISAF soldier from the same small arms fire - gun battle on Thursday, July 29th in an undisclosed location in southern Afghanistan. #1: The deadliest attack Friday came when a car bomb exploded near a Shiite mosque in the northern Baghdad neighborhood of Shaab, killing at least 20 people and wounding 17 others, said two Iraqi police officials. The casualties were confirmed by a medical official. #2: At about the same time, near simultaneous explosions struck a Shiite mosque near the Diyala bridge, in southern Baghdad, killing four worshippers and wounding 17 others, the two officials said. An unexploded roadside bomb was also found nearby, they said. #3: A roadside bomb exploded near a third mosque in the eastern Baghdad, wounding six worshippers. #1: Four civilians were wounded when a rocket hit a house in northern Basra on Friday, a local security source in the province said. “The rocket was one of six Katyushas that targeted a military base of the Multi-National Force (MNF) at the Basra International Airport, 25 km) northwest of the city,” the source, who asked not to be named, told Aswat al-Iraq news agency. “The results of the five rockets’ attack on the MNF base are not revealed so far,” he added. #1: A man and a woman were killed and a child and a woman wounded when gunmen hurled a hand-grenade at their house in western Mosul city on Thursday night, a Ninewa police source said on Friday. “The grenade attack on a house in the area of Raas al-Jada, western Mosul, left a man and his wife killed and a woman and her 13-year-old boy wounded,” the source told Aswat al-Iraq news agency. #2: Iraqi soldiers arrested a Moroccan man trying to plant a bomb in northern Mosul, 390 km (240 miles) north of Baghdad, on Thursday, the Iraqi army said. #3: Earlier police sources said that two policemen were killed Friday by a bomb targeting their patrol in the northern Iraqi city of Mosul. #1: Four people were killed and eight others wounded in Thursday’s earlier car bomb blast in a residential area in western al-Anbar province, a security source said. “The explosion left four civilians, including two children, killed and eight others wounded,” the source told Aswat al-Iraq news agency. #1: A detachment of 12 Finnish troops and a Swedish officer came under fire in northern Afghanistan on Thursday, the Finnish Defence Forces said. The incident was the second time Finnish troops returned fire in Afghanistan, with the first such incident having taking place at the weekend. The military added that no one had been wounded in the 40-minute engagement. The Swedish-Finnish military force in Afghanistan has come under fire for the fourth time in a two week period, news wire TT reports. The soldiers were on patrol in northern Afghanistan when they were fired at about 2 PM Swedish time. The patrol, which consisted of both Swedish and Finnish troops, fired back immediately. No one was said to be injured in the 40 minute attack. #2: A Taliban ambush on a NATO convoy in western Afghanistan left nine insurgents and a policeman dead, a police official said Friday. Insurgents launched the attack Thursday with a roadside bomb against a vehicle of a private security firm escorting the NATO convoy, injuring three Afghan security guards, Herat police chief Gen. Esmatullah Alizai said. Alizai said nine insurgents and one police officer died in the gunbattle that followed. #3: To the south of Herat, a Taliban unit also ambushed a convoy of electoral material in Farah province, a local official said. Insurgents killed four Afghan soldiers in the gunbattle but the ballots and other voting material were retrieved, Farah Gov. Roh ul-Amin said. #4: He said insurgents also fired a rocket-propelled grenade into a damaged NATO fuel tanker truck nearby, seriously injuring 11 villagers who were trying to recover some of the fuel. #5: Up to six civilians were either killed or wounded when a roadside bomb planted near a bridge hit their car in Aqcha district in northern Jawzjan province on Thursday evening, the Interior Ministry said in a statement. SFC Mark Allen, the Georgia Army National Guard soldier based in Newnan who sustained a serious head wound in Afghanistan on July 8, is breathing on his own and opening his eyes at Bethesda Medical Center in Maryland. Though Allen is opening his eyes, he is "still not awake," Stokely said. "His pupils are dilated, so you can't be certain whether he is seeing you or focusing on you," he said. Morita sustained serious injuries to his hands and will need more surgery, but "otherwise, he is in pretty good over-all health," Stokely said. Benson's left hand is in a cast and he will need more work on that hand, but "his right hand is a lot better, and the stitches are out," Stokely said. The DoD is reporting a new death previously unreported by the military. Aviation Electronics Technician Airman Andrew Scott Charpentier died from a non-combat related illness at Jackson Memorial Hospital in Miami, Fla., on Thursday, July 23rd. #1: Eight civilians on Thursday were injured in an explosive charge blast that hit the Iraqi capital, according to a police source. “This morning, a roadside improvised explosive device (IED) detonated in Adan Square of al-Kadhimiya area, northern Baghdad, wounding eight civilians,” the source told Aswat al-Iraq news agency. #2: Meanwhile, a man and his wife were wounded when a U.S. patrol, traveling on a main road just south of Baghdad, opened fire on their car, the source said. The source could not immediately tell what push the U.S. patrol to open fire, as the incident is under investigation, the source added. 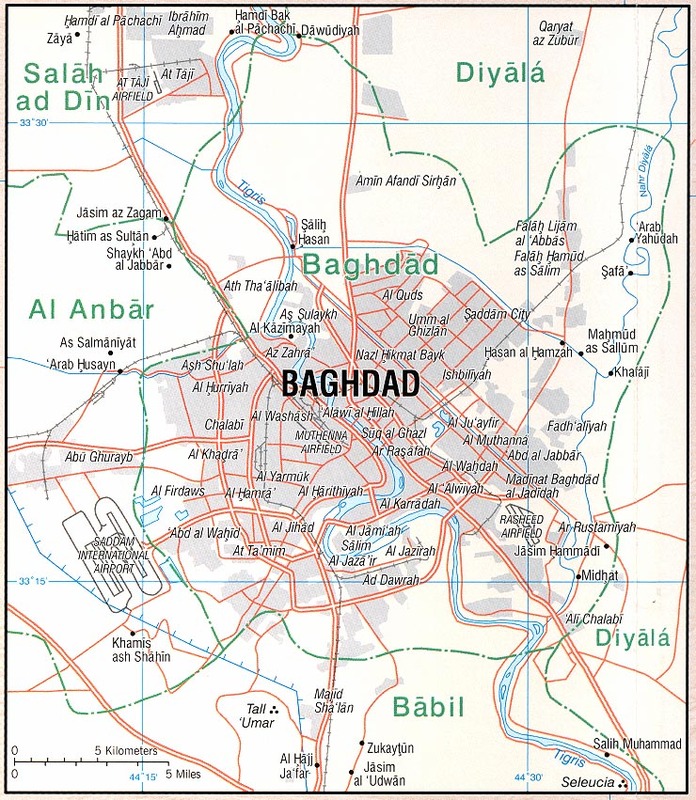 #3: Also in south of Baghdad, a roadside bomb detonated near a U.S. patrol close to an Iraqi security checkpoint just outside the capital, damaging a U.S. vehicle, the source said, adding that he could not confirm whether U.S. soldiers sustained any casualty as the troops sealed off the area. The U.S. military did not confirm yet both the incidents that its troops involved. #1: Police and hospital officials say a bomb has exploded in a building used by a Sunni-backed political group north of Baghdad, killing at least seven people and wounding 10. The officials say the bomb was hidden inside a building used by the Reform and Development Movement, a Sunni-backed political group that was founded last year and that won four seats in the last provincial council elections. A police official says the blast killed at least seven, wounded 10 and damaged the building. A medic at the hospital in Baqouba, where the victims were taken, confirmed the numbers. #1: Two children were wounded when an improvised explosive device (IED) went off near them in eastern Mosul city on Wednesday, a Ninewa police source said. “An IED went off near a house in al-Muthanna neighborhood, eastern Mosul, wounding two children who were standing nearby the explosion scene,” the source told Aswat al-Iraq news agency. #2: The chief of a Turkmen council in Mosul was wounded in a blast that targeted his vehicle in the north of the city, a security source said on Thursday. “On Wednesday (July 29) evening, the head of the Council of Turkman Notables in Mosul, Mostafa Raho, was injured when a sticky explosive device targeted his vehicle in al-Rashidiya area, northern Mosul,” the source told Aswat al-Iraq news agency. “Raho is in a critical condition and has been rushed to the emergency department in al-Jumhouri Hospital in western Mosul,” the source added. #3: Gunmen killed two traffic policemen in separate incidents in Mosul, 390 km (240 miles) north of Baghdad on Wednesday, police said. #1: The government says a roadside blast has killed four Afghan guards in the south of the country. An Interior Ministry statement says the explosion hit the guards' vehicle in Helmand province on Thursday. The victims worked for a private security company. #2: Two persons were killed including a woman and many children were injured when a rocket landed on a house in Tehsil Baramira of Khyber tribal agency in Pakistan's northwest, the private Geo News reported Thursday. Sources were cited as saying that a man identified as Rehmat Gulwas present in his house along with his family. It was then when a rocket coming from unknown direction hit the house, killing him on the spot and his sister-in-law. Two children were seriously injured in the tragic incident, who have been rushed to a local hospital. #3: A roadside bomb killed four Afghan soldiers and wounded two near Yakhchal village in Gereshk on Wednesday, the Defence Ministry said. #4: An Afghan civilian was killed when police fired shots to break up a protest by street hawkers in the western city of Herat on Wednesday, the Interior Ministry said. Two police were wounded and a journalist beaten. The hawkers were demonstrating against plans by city officials to stop them trading on the city's streets. British Ben Parkinson, 25, has been described as the most seriously injured British soldier to survive after his Land Rover was blown up three years ago in Afghanistan. He was told by doctors he would never be able to speak again because of the horrific damage his body suffered which included the loss of both legs and brain damage. #1: Eight persons on Tuesday were killed and 13 others were injured when a motorbike bomb exploded in the capital Baghdad, according to a police source. 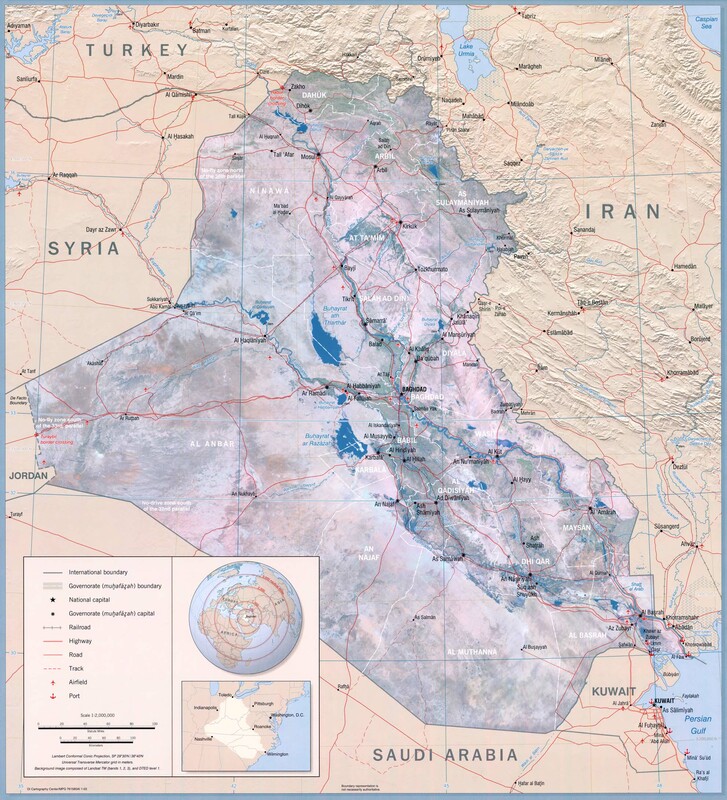 “This evening, a motorbike rigged with explosives went off near al-Baydaa movie theater in Baghdad al-Jadida area, southeastern Baghdad, killing eight persons and wounding 13 others,” the source told Aswat al-Iraq news agency. #1: Hundreds of Iraqi police and soldiers were in a tense stand-off with residents of a camp housing Iran's main exiled opposition on Wednesday, after violence that left two policemen dead. At least 400 people were wounded in the unrest sparked when the Iraqi army stormed Camp Ashraf on Tuesday, followed by riot police who were called in to quell resistance by camp residents. The opposition People's Mujahedeen said six camp residents were also killed but there was no independent confirmation of those deaths. Doctor Abdullah al-Timimi from the main hospital in the nearby town of Khales said the two policemen died on Wednesday from injuries sustained the previous day. One had suffered internal bleeding following a blow to the head. The other had been stabbed in the neck, he said. #1: A roadside bomb on Wednesday went off near a U.S. convoy in northern Amara city, without causing any casualties or damage, said a security source from Missan province. “The incident took place on al-Btera Street,” the source told Aswat al-Iraq news agency.“This attack is the second of its type since June 30, 2009, when Iraqis received the security responsibility from the U.S. forces,” he said. #1: Iraqi army forces on Wednesday found an unknown corpse west of Makhmour suburb, a source from the army said. 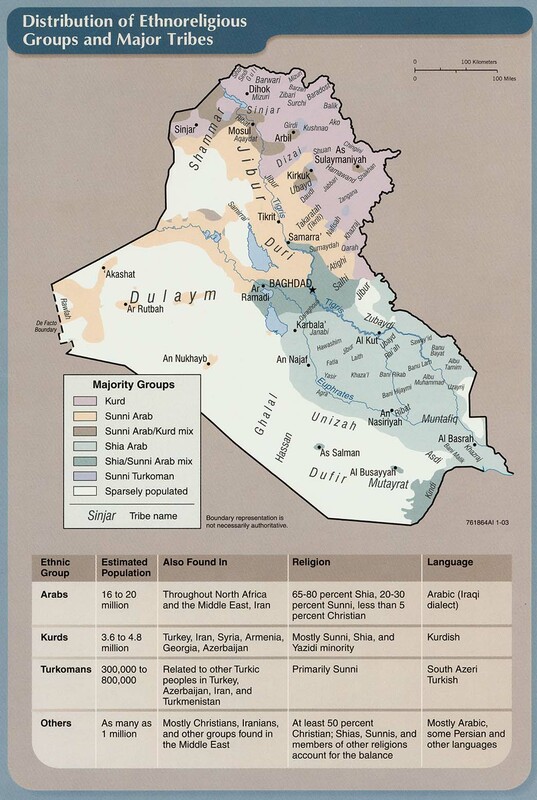 “The body was found at noon near Dewzanti village on the main road between Makhmour and al-Qayiara district, 68 km southwest of Arbil city,” the source told Aswat al-Iraq news agency.“Signs of gunshot wounds were found on the corpse,” he said. #1: One policeman and a civilian on Wednesday were injured in an explosive charge blast that ripped through Kirkuk city, according to a local source. “This morning, a policeman and a civilian were wounded when an improvised explosive device (IED) exploded at al-Soyoof Square of Arafa neighborhood, western Kirkuk, while an Iraqi army vehicle was passing the location,” a source from the Joint Coordination Center in the province told Aswat al-Iraq news agency. #1: A policeman was killed and two people (a policeman and a child) were injured by a roadside bomb that targeted a nationa ploice patrol in Mansour neighborhood in south Mosul around 2 p.m.
#1: Bomb squad personnel on Wednesday defused a booby-trapped car found on a main street in Ramadi city, according to a local police source. #2: One policeman on Wednesday was killed and two others were wounded when a roadside bomb went off on the International Highway, west of Anbar province, a police source said. “The blast took place near a mosque at the International Highway, 160 km west of Anbar province,” the source told Aswat al-Iraq news agency. #1: Gun battle between Afghan police and Taliban insurgents claimed the lives of five including four militants in Ghor province southwest Afghanistan, provincial police chief Abdul Baqi said Wednesday. "The clash took place in Pasawand district after militants began collecting taxes in some villages and people rejected the demand," Baqi told Xinhua. He said that rejection by locals triggered gun battle which police sided with people killing four rebels including two suicide bombers. One civilian was also killed in the gun ballet lasted for several hours. #2: Taliban militants stormed the home of a pro-government militia leader and shot him dead Wednesday as troops continued a cleanup operation in northwest Pakistan, officials said. More than 50 Taliban raided the residence of Khalilur Rehman and killed him in Shangla district near Buner where the army was engaged in an anti-militant operation, police and local lawmaker Mohammad Fazlullah told AFP. Rehman, 60, who had formed a tribal militia known as lashkar, used to provide logistic support to the anti-Taliban fighters, residents said. "He was shot dead soon after he entered the meeting hall of his house," senior police officer Gul Wali said adding that Rehman's servant was wounded. Security forces retaliated and killed two militants, he said. #3: A roadside bomb killed two Afghan civilians in southern Kandahar province, the Interior Ministry said. #3: Two Afghan soldiers were killed in separate attacks in different parts of Kandahar, the Defence Ministry said. #4: An explosion hit a campaign office for presidential candidate Abdullah Abdullah in a remote district of southeastern Paktika province, campaign worker Assadullah Nizami said. Part of the office was damaged but there were no casualties, he said. #5: A police vehicle escorting a convoy of trucks carrying supplies for Western forces in Afghanistan hit a roadside bomb in the Khyber tribal region on the Afghan border on Wednesday, wounding two policemen, government officials and residents said. #6: A lawyer from the minority Shi'ite Muslim community was wounded and his guard killed when his car hit a bomb placed in the parking lot of a court in the northwestern city of Dera Ismail Khan. Two other people were also wounded. Police suspect Sunni Muslim militants were behind the attack. The British MoD is reporting the death of a British ISAF soldier in a roadside bombing in Lashkar Gah district, Helmand province, Afghanistan on Monday, July 27th. The British MoD is reporting the death of a second ISAF soldier in another roadside bombing in Sangin district, Helmand province Afghanistan on Monday, July 27th. #1: Gunmen killed eight security guards and made off with nearly $7 million Tuesday during an early morning robbery at a bank in central Baghdad that police say is the work of insurgents attempting to finance their operations. It is the second deadly robbery in a week in Baghdad's commercial Karradah district. Although violence has dropped dramatically over the past two years, the number of robberies in Iraq appears to be on the rise. The gunmen broke into the state-run Rafidain Bank at about 4 a.m., killing three on-duty guards and five others on the premises, who were either on a break or asleep, said an Iraqi police official. #2: Four civilians were wounded when two improvised explosive devices went off in southern Baghdad on Tuesday, an Iraqi police source said. “Two IEDs emplaced by unidentified persons on the main road in al-Mechanic neighborhood, al-Dora district, southern Baghdad, went off consecutively, leaving four civilians wounded,” the source told Aswat al-Iraq news agency. #3: Monday Around 8 p.m. a sticky bomb exploded in Harthiyah neighborhood injuring five civilians. A bomb attached to a civilian car wounded three people in the car and two bystanders in western Baghdad's Harithia district, police said. #1: A civilian man was killed when an improvised explosive device went off near the district of Jalawlaa, southwest of Khanaqin, a security source in Diala said. “The IED went off on Tuesday (July 28) near a civilian vehicle in the village of Jaghat, Jalawlaa, (30 km) southwest of Khanaqin, killing the driver instantly,” the source told Aswat al-Iraq news agency. #1: A civilian man was shot down by a gunman in front of his house in southeastern Mosul city, a local source said. “A gunman on Monday evening opened fire at a civilian man from a suppressor gun in front of his house at al-Intissar neighborhood, southeastern Mosul, killing him instantly,” the source told Aswat al-Iraq news agency. #2: Monday A roadside bomb targeted a police patrol in central Mosul near the main bus station injuring one policeman. #3: Gunmen killed a civilian, Christian, in Telkev town. #1: A roadside bombing against police left two civilians dead and injured four others in the relatively peaceful northern province of Tahar, provincial police chief said on Tuesday. "A roadside bombing against vehicle of Ghulam Mohammad, police chief of Warsaj district, killed two civilians and injured four others Monday evening," Ziahuddin Mahmoodi told Xinhua. He also added that the Ghulam Mohammad and his personnel have escaped safely from the incident while the bombing harmed civilians who were passing the scene. #2: The militants killed an abducted police official on Tuesday in Sangota area of northwestern Pakistan 's Swat district, a private TV channel said. According to the report, the official was abducted a few days ago. #3: In another incident, a telephone exchange was blown up in Poranarea of the abutting Shangla district in which the exchange's watchman was injured. However, the nature of the blast was not discovered. #4: In the eastern province of Laghman, a local election campaign official of presidential candidate Abdullah Abdullah was shot dead Tuesday morning by unknown gunmen in Dawlat Shah district. Rahm Khuda Mukhlis, the police chief of Dawlat Shah district, confirmed the attack on officials of Abdullah's election campaign and said that one person was killed and two others were injured in this incident. #5: Three employees of a private construction company and three civilians were killed in the south-eastern province of Khost. The vehicle of a private road construction company struck a roadside mine Monday and killed at least three company staff, Fazal Rabi, a spokesman for the governor of Khost, said. "After the incident, security officials of the road construction company opened fire on a gathering of people, as a result three civilians were also killed," he added. #6: In a third incident eight guards working for a private security company were killed in the explosion of a remote-controlled mine in the restive province of Helmand, the Afghan Interior Ministry said. "A remote-control mine trapped two vehicles of Hamayoon private Security Company, as a result at least eight guards of the company were killed and four others were injured," the statement said. The ministry said the incident took place in the Yakhchal area of the province's Grishik district at 8 am. #7: Two Polish soldiers were injured during the bombing of the Warrior military base in Afghanistan. One of the soldiers, with severe head, leg and arm wounds, is in a critical state. He has already undergone one surgery at the Polish base in the Ghazni province. The second soldier was wounded by a shrapnel. He is in stable condition. Both soldiers will be transported to a hospital in Bagram. Yesterday evening, two Polish soldiers stationed on the Forward Operating Base (FOB) Warrior in Afghanistan were injured when insurgents opened fire on the base. One soldier was injured critically. He was shot in the head and leg, and is now in serious but stable condition in a military hospital in Ghazni in central Afghanistan. The second soldier's legs were hit with shrapnel, but he was not seriously wounded. #8: Sixteen Taliban militants were killed in an operation by Afghan security forces in the Barg Matal district of eastern Nuristan province, the Defence Ministry said. #9: A blast in a shop killed one civilian and wounded two in the Sabari district of eastern Khost province, the Interior Ministry said. #10: A roadside bomb killed one roadworker and wounded two in the Sharan district of southeastern Paktika province on Monday, the Interior Ministry said. #11: A suicide car bomber rammed his vehicle into a checkpoint in Pakistan's North Waziristan tribal region Tuesday, causing an explosion that killed two police and wounded five other security officials, authorities said. British Lance Corporal Tom Birch will never be able to work again after a suffering a brain injury in an accident in Afghanistan while serving with the Royal Marines. The former Lance Corporal has no memory of the day in October 2006 when he tumbled 100ft down an embankment in a Land Rover which his lawyers say he was not qualified to drive. He suffered a depressed skull fracture, a cerebral haemorrhage, a collapsed lung and other injuries but survived. After a string of operations and intensive round-the clock care, he has had to learn again how to walk and talk. Three years later his speech is slurred, his memory and concentration severely impaired. The DoD is reporting a new death previously unreported by the military. Spc. Herberth A. Berrios-Campos died in a non-combat related incident in Salman Pak, Iraq on Friday, July 24th. #1: A roadside bomb struck military convoy of the international troops in Wardak province, 40 km west of Afghan capital Kabul, Monday damaging one military vehicle, spokesman of provincial administration Shahidullah Shahid said. "The incident occurred between provincial capital Maidan and Jalriz district at 08:00 a.m. local time (0330 GMT) damaging an armored personnel carrier," Shahid told Xinhua. However, he did not say if there were any casualties. #2: Insurgents attacked a mosque at a combat outpost in the Kamdesh District, injuring two Afghan national army soldiers, who were awaiting evening prayer, July 26. The outpost was attacked with small arms fire, mortars, and a rocket-propelled grenade. The rounds impacted the outpost's mosque. #3: 11 militants were killed and 19 others arrested in ongoing military operations in northwest Pakistan during last 24 hours, an army press release said Monday. #4: Pakistani helicopter gunships struck four militant hideouts in the northwestern Khyber Pass region on Monday, killing 20 insurgents, a spokesman for the paramilitary Frontier Corps said. The airstrikes, launched in the remote Teerah Valley, follow a number of militant attacks in recent months on convoys transporting military equipment, fuel and food en route to Afghanistan. Attack on a police checkpoint in Abu Ghraib kills 3 police, 1 other person. Child standing in front of his house is killed in a drive-by shooting. Presumably a message to the father. Two policemen wounded by IED on Saturday. Reported too late for yesterday's post. Man killed by gunshot from passing vehicle, police attribute the attack to a tribal feud. Again, incident occurred on Saturday, reported too late for yesterday's post. Turnout in Kurdistan elections is reported as averaging 80%, with turnout in Dohuk reported at 86%. Results are not expected for a few days. President Barzani (yep, the president of Iraq is a Kurd, but Kurdistan also has its own president) says that a) He hopes the election will help settle problems and differences with Baghdad and b) His priorities for his second term [should he be so lucky] include "bringing disputed areas claimed by Kurdish and Arab Iraqis under Kurdish control." Okaaaaaaay. The two dominant political coalitions, the Patriotic Union of Kurdistan and the Kurdistan Democratic Party, face a challenge from new opposition alliances seeking to capitalize on alleged misconduct and corruption. The leaders of the two main coalitions, Iraqi President Jalal Talabani and Kurdish regional President Massoud Barzani, hope their parties can withstand the burgeoning challenge. The opposition is expected to make some inroads in the parliament. Iraq's election commission said it could take a week to count the results. Nuri al-Maliki tells the WaPo that the arrest of U.S. troops on Tuesday by Iraqi forces was "out of line." Three Iraqis were killed and 4, including 2 children were injured when U.S. soldiers raided nearby houses after their convoy came under attack in Abu Ghraib. Maliki says the new agreement gives them the right to do that. Internally displaced Iraqis still fear to return to their original homes. This report describes a refugee camp with no sewage system or regular trash collection, and substandard shelters. People aren't going home because their neighborhoods have been ethnically cleansed, and they have heard of returnees who have been killed. A U.S. service member has been killed in action in southern Afghanistan. No further details are given at this time. Afghan defense ministry says Afghan troops killed 16 insurgents in Bargi Matal district of Nuristan province, lost two Afghan soldiers after militants attacked a base. Four Italian soldiers injured by a bomb planted in a motorbike in Herat. The current leaders KDP AND PUK are intimidating and threatening people. In today’s news we can see supervisors, who come from security force apparatus, sitting outside polling stations observing and basically intimidating people. All kinds of tools are being used to try and stop people voting democratically. The Change Group are the dominant group in Sulaimaniyah and the surrounding area. . . . The confidence of people to win this election is extraordinary. The anger of the mass of the people is something which can no longer be ignored and hidden. You only have to look at the faces of people to see this which I witnessed myself at the political rally on the 22nd July organised by The Change List. The AFP is reporting the death of an ISAF soldier in a small arms fire / RPG attack in an undisclosed area in eastern Afghanistan on Saturday, July 25th. NATO is reporting the death of an ISAF soldier in an IED attack in an undisclosed location in southern Afghanistan on Saturday, July 25th. The British MoD has confirmed this to be a British soldier. #1: An explosive charge sabotaged the al-Rasheed power line on Saturday, causing a reduction in electricity supply hours in the al-Karkh (western) side of Baghdad. 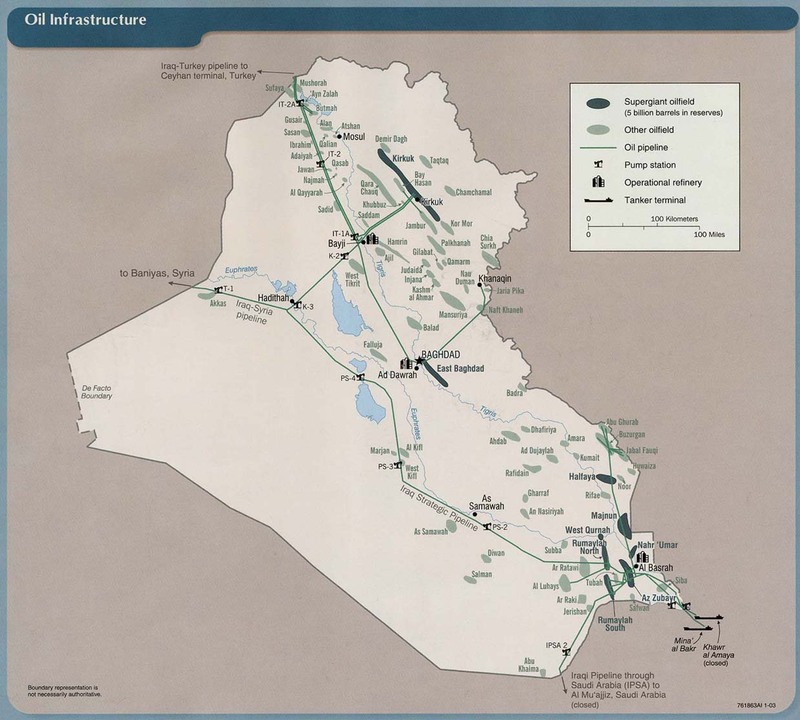 “The explosive charge was planted under the power line,” Aziz Sultan, the Iraqi Electricity Ministry’s official spokesperson, told Aswat al-Iraq news agency. #2: One civilian on Saturday was killed in an explosive charge blast in the capital Baghdad, according to an Iraqi police source. “Today, a sticky improvised explosive device (IED) detonated inside a civilian vehicle on Ishreen St, al-Adhamiya neighborhood (northern Baghdad), killing the driver on the spot,” the source told Aswat al-Iraq news agency. #1: Two Katyusha rockets landed in al-Batira military airstrip northwest of al-Amara city on Friday, leaving no casualties or damage, an official security source said. “The al-Batira military airfield, (5 km) northwest of Amara, came under attack with two Katyusha rockets on Friday,” Col. Sadeq Abdulazim al-Hilw, the assistant chief of the Missan police, told Aswat al-Iraq news agency. #1: A roadside explosive device on Saturday was defused by bomb squad personnel near Karbala city, according to a local security source. “An improvised explosive device (IED) was found at an intersection in al-Huseiniya district (20 km north of Karbala) and was defused by bomb squad experts,” the source told Aswat al-Iraq news agency. #1: Four emergency police personnel on Saturday were injured when an improvised explosive device (IED) detonated in southern Kirkuk city, according to a local source. “This morning, an explosive device hit an emergency police patrol vehicle near al-Ghanam market, southern Kirkuk, wounding four patrolmen,” the source told Aswat al-Iraq news agency. #1: “The first explosive vehicle was detonated by security forces on the main road between the village of Kheneis in Beleij district and al-Qairawan area in al-Biaaj district, (130 km) west of Mosul, without incident,” the source told Aswat al-Iraq news agency. #2: “A while later a second car bomb went off, killing a civilian who happened to be near the blast scene,” the source added. #3: An Iraqi soldier was killed in a car bomb blast while security agencies dismantled another and an improvised explosive device planted by unidentified gunmen in another vehicle in different incidents in western Mosul city on Friday, local security sources said. “An Iraq soldier was killed today (July 24) in a car bomb blast near the village of Umm al-Zanabeer, al-Biaaj district, on the Iraqi-Syrian borders (some 130 km west of Mosul),” the al-Biaaj local council chief Jassem Mohammed Hussein told Aswat al-Iraq news agency. “The vehicle had been reported stolen earlier. When the Iraqi army personnel identified and approached it, it went off, killing one soldier,” the source added. #1: Twelve civilians on Saturday were injured when a booby trapped car went off near the headquarters of the Iraqi Islamic Party (IIP) in Falluja city, according to a local police source. “Today, a car rigged with explosives detonated near the headquarters of the IIP on al-Atibba St, downtown Falluja city, wounding 12 civilians, including women and children,” the source told Aswat al-Iraq news agency. #2: Four civilians on Saturday were injured in a car bomb explosion in Falluja, the second to hit the city today, according to a police source. “This noon, a second booby trapped car went off near a restaurant in northern Falluja city, wounding four civilians, according to an initial count,” the source told Aswat al-Iraq news agency. #1: Fighting erupted in the volatile east Afghanistan city of Khost on Saturday, security officials and witnesses said, with at least three suicide bombers attacking government buildings. Interior Ministry spokesman Zahir Azimi said a car packed with explosives had been detonated in Khost city, followed by three suicide bombers. He said details were still unclear but sporadic fighting was continuing. A statement by the Ministry of Defence said "a group of suicide bombers" had attacked government offices in Khost and three had blown themselves up, causing "casualties and damage". Salahuddin Ayubi, a spokesman for the al Qaeda and Taliban-linked Haqqani network, said a suicide car bomber had attacked a district government building in the city, blowing open the gates to allow gunmen and more suicide bombers to enter. #2: Two Pakistani helicopter gunships on Saturday fired at a suspected house near Miranshah, the main town of North Waziristan tribal region on the Afghan border, killing a woman and wounding three, witnesses said. #3: Seven policemen were wounded while trying to defuse an improvised explosive device planted on a roadside along the Indus Highway in the northwestern region of Kohat on Saturday, security officials said. #4: Pakistani Taliban shot dead an Afghan refugee in a village south of Miranshah, accusing him of being a U.S. spy and dumped his body on a roadside with a threat -- anyone spying for the U.S. will meet a similar fate, witnesses and intelligence officials said on Saturday. #5: Security forces killed 16 militants in Lower Dir on Friday, paramilitary officials said of the northwestern district where troops have been battling insurgents for nearly three months. #6: The NATO-led peacekeeping force ISAF (International Security Assistance Force) mistakenly targeted Afghan police forces in Kandahar province, south of Afghanistan, killing two police officers, police chief in southwestern region Ghulam Ali Wahdat said Saturday. "The police were on patrol in the north part of Kandahar city Friday night when the incident occurred during which two policemen were killed and three others got wounded," Wahdat told Xinhua. ISAF forces in Kandahar also described it a mistake, according to the police officer. #7: Three explosions, apparently well organized, damaged three trucks supplying logistic items to U.S. forces in Afghanistan and hampered the supplying to troops for a while, a press release of Interior Ministry issued here Saturday said. "At around 2:40 a.m. this morning, three trucks begun journey from Bagram Airbase in Afghan capital Kabul to supply logistic items to the troops in south Afghanistan," the statement said. It added that one of the three trucks exploded and smashed after a while as two others in span of minutes also blew off and were partially damaged. Only one driver sustained injuries in the blasts, it further said. MNF-Iraq is reporting the death of a Multi-National Division - Baghdad soldier of non-combat related injuries in an eastern neighborhood of Baghdad on Friday, July 24th. NATO is reporting the death of an ISAF soldier in an insurgent attack in an undisclosed location of southern Afghanistan on Thursday, July 23rd. News reports state this to be an American soldier. The Washington Post is reporting the deaths of two American ISAF soldiers in a bomb attack in an undisclosed location in southern Afghanistan on Friday, July 24th. #1: A sticky bomb planted onto a window-type air conditioner in a house in Ghazaliyah, western Baghdad exploded at 4.30 p.m. Thursday injuring three family members. The house belonged to a returning displaced family. When the security forces arrived on the scene and conducted a routine search of the neighbouring houses, they found two more sticky bombs planted in the neighbour's house. Both bombs were safely defused. #1: Policemen found the bodies of two civilians that had been kidnapped by unidentified gunmen last week in a village of al-Saadiya district, a local security source said. “The bodies, which showed signs of having been shot, were found in the village of Sama, al-Saadiya, (35 km) south of Khanaqin district,” the source told Aswat al-Iraq news agency. A roadside bomb targeted an Iraqi army patrol in Amin neighbourhood in central Baquba injuring one serviceman and causing severe damage to the military vehicle. #1: The Missan bomb squad on Thursday defused four improvised explosive devices south of al-Amara city, according to the province’s police spokesman. “The IEDs, which had been planted on the Basra-Amara highway in al-Saeeda area, (30 km) south of Amara, were dismantled based on intelligence tip-offs,” Col. Sadeq Sallam told Aswat al-Iraq news agency. #1: Unidentified gunmen shot down two women and wounded four others, including two children, of the same family in an attack on their house south of al-Kut city on Thursday, a security source in Wassit said. “The gunmen attacked a house in al-Hai district, (40 km) south of Kut, killing two women and wounding two men and children, all are members of the same family,” the source told Aswat al-Iraq news agency. #1: A civilian man was killed and another wounded when an improvised explosive device went off in central Kirkuk on Thursday, a local security source said. “The charge, which targeted an Emergency Police patrol near al-Sabriya mosque on the Kirkuk-Baghdad highway, left one civilian man killed and another seriously wounded,” the source told Aswat al-Iraq news agency. #1: Confessions by a gunman who had been captured a week ago led to finding four unidentified bodies in al-Qadissiya neighborhood, northern Talafar, a local police source in the district said. “The bodies, which were found inside an abandoned house in northern Talafar, (60 km) northwest of Mosul, were of unidentified men clad in civilian clothes and showed signs of having been shot in the head and chest,” the source told Aswat al-Iraq news agency. #1: As the Swedish Ministry of Defence reports, during the night of July 23 to July 24, Swedish and Finnish soldiers have been involved in a fierce fire fight with Afghan insurgents west of Masar-e-Sharif. No allied soldiers were reported to be killed or wounded. However, three insurgents have been killed and two injured. The shooting started at 21:05 local time when Swedish platoon was ambushed. One armoured vehicle of the RG32 “Galt” type was severely damaged, probably by a rocket propelled grenade (RPG). Reinforcements, including a Swedish CV90 tracked armoured combat vehicle, Finnish soldiers and health care resources were sent to the combat site. The enemy attacked the Swedish and Finnish soldiers in several waves throughout the night. According to the MoD the allied soldiers were able to gain control of the area in the morning and subsequently took up the searched for injured insurgents. #2: Security forces say clashes in the troubled Swat Valley and nearby areas in Pakistan's northwest have left five militants and a soldier dead. The military issued a statement Friday saying the deaths occurred during search and clearance operations over the previous 24 hours in various parts of Swat. The army has been wrapping up an offensive there against the Taliban that began in late April. The military said another six suspected militants were arrested during the operation. Marine Sgt. Joshua J. Bouchard, 26, severely injured in Afghanistan earlier this month. Bouchard, wounded July 7 while in the lead Humvee in a convoy in southeastern Afghanistan. Joshua Bouchard lost most of his left leg as well as suffering spinal injuries so severe he is not yet a candidate for a prosthesis, his father said. The Marine also fractured his right arm. Joshua Bouchard has been a mechanic with the Marines' 2nd Reconnaissance Battalion, 2nd Marine Division, II Marine Expeditionary Force based at Camp Lejeune, N.C. He was drafted into service as gunner because his unit was shorthanded, according to his father. As a gunner he was in the open part of the vehicle. Initially, it was thought the blast was from an improvised explosive device, but it is now believed it may have come from an anti-tank mine, his father said. Sgt. 1st Class James T. Rundberg, 33, who was injured by a roadside bomb in eastern Baghdad on June 25. He leads a scout platoon in Iraq, where he has served two tours of duty. He suffered a traumatic brain injury, skull fracture, four fractured ribs, shrapnel wounds to his head, back and shoulders and minor burns in last month's attack by insurgents. It took 21 staples to close the deep gash in the back of his head after the explosion blew his helmet off. He was riding in an armored Humvee in a convoy that was transporting an Army chaplain so he could lead a religious service. DoD Identifies Army Casualties: Sgt. Joshua J. Rimer, 24, of Rochester, Pa.
DoD Identifies Army Casualties: Spc. Randy L.J. Neff, Jr., 22, of Blackfoot, Idaho. The British MoD is reporting the death of a British ISAF soldier in an IED blast in Nad e Ali District, Helmand Province , Afghanistan on Wednesday, July 22nd. NATO is reporting the deaths of two ISAF soldiers in an IED attack in an undisclosed location in southern Afghanistan on Wednesday, July 22nd. Press reports state that these are American soldiers. #1: Wednesday A roadside bomb detonated in New Baghdad area in east Baghdad around 9 p.m. injuring six people including a policeman. #1: Three civilians were wounded Thursday in an improvised explosive device explosion in central Baaquba, according to a security source. “An explosive charge went off Thursday (July 23) targeting an army vehicle patrol in al-Ameen square in central Baaquba, injuring three civilians,” the source told Aswat al-Iraq news agency. #2: A roadside bomb targeted a truck carrying vegetables in al Abbara area in southern Baquba, Wednesday morning, seriously injuring the driver and killing his assistant. #3: A roadside bomb wounded one policeman and five civilians in east Baghdad's New Baghdad district on Wednesday, police said. #1: An Iraqi army Hummer vehicle was set on fire when an improvised explosive device (IED) went off near Baghdad, according to a local security source. “A roadside explosive device exploded in al-Haswa area, west of Abu Ghraib (20 km west of Baghdad), near an Iraqi army patrol, setting a Hummer vehicle on fire,” the source told Aswat al-Iraq news agency. There was no word on casualties, the source noted, adding that all roads leading to the scene of the blast were blocked. #1: A roadside bomb targeting a U.S. military patrol killed one civilian and wounded two others in Yusufiya, 20 km (12 miles) south of Baghdad, police said. #1: Police forces on Wednesday found a body belonging to a civilian on a road in southern Babel province, according to a local police source. “The corpse bore signs of gunshot and torture wounds, which made it impossible for the police to identify the victim,” the source told Aswat al-Iraq news agency. #1: An insurgent targeting a U.S. patrol with a hand grenade wounded one civilian in central Kirkuk, 250 km (155 miles) north of Baghdad. Police said there were U.S. casualties, which could not be immediately confirmed. #1: An Afghan girl has been killed in an accidental shooting by Canadian soldiers in Kandahar province, military officials disclosed yesterday. Soldiers had dismounted from a convoy in the volatile Panjwaii district when a motorcycle came speeding toward them, said Task Force Kandahar spokesman Maj. Mario Couture. When the driver did not heed signals to stop, a warning shot was fired and the motorcycle changed direction and sped away. Moments later, the soldiers noticed a crowd gathering and discovered that a girl, whose age was not disclosed, had been hit with the ricocheting bullet, Couture said. Attempts to save the girl were unsuccessful, he added. #2: About an hour later, in a separate incident, soldiers inspecting a suspected improvised explosive device on a road in neighbouring Dand district fired on a vehicle advancing on them in the dark with its lights out. He said the soldiers used lights and a warning shot to try and stop the truck, but to no avail. "A shot was fired like it normally is at the ground to get their attention," Couture said. When that didn't work, soldiers fired on the vehicle, injuring three men inside. About 10 shots were fired. Two Afghan National Policemen suffered minor injuries and were released, while the third remains in hospital. Army Sgt. 1st Class Sualauvi Tuimalealiifano, 30, was paralyzed from the neck down from injuries suffered after his elite Army Special Operations team was ambushed by Taliban fighters in Southern Afghanistan in 2007. Specialist Jacob Benson of Willmar is recovering from injuries suffered in last Thursday's insurgent attack near Basra in southern Iraq.Benson tells the West Central Tribune that pieces of shrapnel were found in his arm and back after the attack.He also suffered bruises from being thrown by the explosion.Benson's friends, Spc. James Wertish of rural Olivia, Spc. Carlos Wilcox IV of Cottage Grove, and Spc. Daniel Drevnick, of Woodbury, were all killed in the attack. DoD Identifies Army Casualty: Sgt. Gregory Owens Jr., 24, of Garland, Texas. DoD Identifies Army Casualty: Spc. Anthony M. Lightfoot, 20, of Riverdale, Ga.
DoD Identifies Army Casualty: Spc. Andrew J. Roughton, 21, of Houston, Texas. DoD Identifies Army Casualty: Pfc. Dennis J. Pratt, 34, of Duncan, Okla.
#1: Tuesday Around 1 p.m. a roadside bomb targeted civilians in Gaiyara neighborhood near a local market killing three civilians and injuring 16. #2: A roadside bomb targeted civilians in Doura, southern Baghdad at 1 p.m. Wednesday injuring nine civilians. #1: At least five Iranian pilgrims were killed and dozens more wounded Wednesday in an attack northeast of Baghdad, security officials said. Gunmen using machine guns, ambushed a convoy with three buses carrying Iranian pilgrims in the Diyala province killing at least five and leaving 35 other pilgrims wounded, an Iraqi military official in the province said. The attack was in the Imam Wais area about 70 kilometers (43 miles) northeast of Diyala's provincial capital of Baquba. #1: A U.S. military spokesman in Iraq says American soldiers have killed two people who attempted to throw grenades at a convoy west of Baghdad. In addition, Lt. Col. Philip Smith says one civilian was killed and four were wounded during the attack Tuesday on the American convoy in Abu Ghraib. 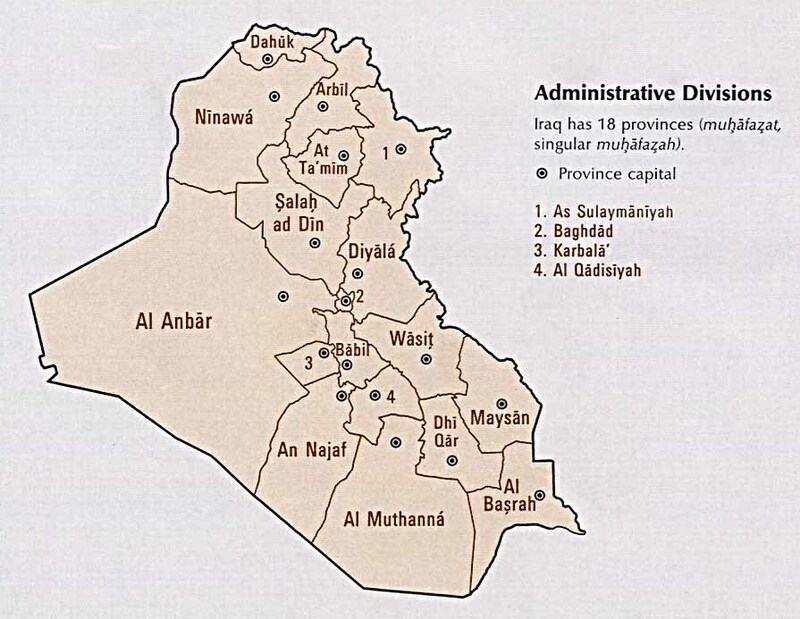 An Iraqi police official gives a conflicting account of casualties. He says four civilians, a boy and three bus drivers, were killed when U.S. forces opened fire on the attackers near a bus station. Lt. Col. Philip Smith, the U.S. military spokesman said the attack involved grenades and small arms fire. Four other civilians were also wounded. "The grenades the enemy were attempting to throw exploded,"Smith said in an e-mail message. "Additional enemy forces fired small arms fire at the convoy from a nearby alley." Resident Jabbar Jassim told The Associated Press that he believes it was American gunfire that killed his 11-year-old son, Hisham, while they were waiting in line at the bus station. #1: Unknown gunmen blew up a house of a retired brigadier, who had been assassinated last month, in southeastern Mosul, a security source said Tuesday. “Unidentified gunmen on Tuesday afternoon (July 21) blew up a house of a retired army brigadier, Salah el-Din Ismail, in Palestine neighborhood in southeastern Mosul using explosive charges,” the source told Aswat al-Iraq news agency. “The house left no casualties as the family of the office left it after his assassination on June 14,” the source added. #2: Two soldiers were wounded on Tuesday in a bomb blast in eastern Mosul, a security source said. “An improvised explosive device went off on Tuesday (July 21) targeting an army vehicle patrol in al-Krama region in eastern Mosul, injuring two soldiers,” the source told Aswat al-Iraq news agency. #1: Pakistani troops backed by fighter jets killed more than 30 suspected Taliban militants around the Swat valley and northwest tribal belt on the Afghan border, officials said Wednesday. The high number of casualties, which are impossible to confirm, is the latest in a surge of deadly clashes reported since Pakistani commanders said they had effectively defeated Taliban opposition in parts of the northwest. #2: Eleven people were killed as Taliban insurgents entered a mosque in Kunduz province in the north of Afghanistan, a local newspaper reported Wednesday. "A group of armed Taliban entered a mosque in Kunduz city, the capital of Kunduz province, when a mine suddenly went off leaving 11 people dead including four children," daily Arman-e-Millie quoting locals reported. However, security officials in the province rejected the claim, saying seven persons including five Taliban fighters were killed in the incident. #3: Unknown armed men abducted about 13 employees of a local road construction firm in Paktia province, in east Afghanistan, a local official said Wednesday. "A group of armed men raided one base of the workers in Wazi Zadran district late Tuesday night and took away 13 employees including two engineers," governor of the district Abdul Wali Zadran told Xinhua. Two more employees of the company got wounded when they resisted, he said. The company, the official said, was busy in surveying a road between Paktia and Paktiak provinces when the company staff were attacked. #4: A Finnish-Swedish patrol, part of the Nato-led International Security Assistance Force (Isaf), came under fire in northern Afghanistan Wednesday morning, the Finnish Defence Forces said. The Finnish army added that none of the soldiers had been wounded. The army said the patrol had withdrawn after taking small arms fire from a range of about 450 metres. #5: Defence officials in Berlin confirmed Wednesday that Germany's military was fighting in its largest offensive against the Taliban in Afghanistan to date, in response to increased Taliban attacks in the north of the country. Officials said that the deployment involved some 300 members of the Bundeswehr's Quick Reaction Force, using mortar munitions, Marder tanks and close air support. Petty Officer Harry Basnight (SEAL) was fighting in Afghanistan until an explosion claimed two of his friend’s lives and left him and another comrade injured. Basnight was injured in Afghanistan July 6th when his vehicle ran over an IED. Two of his comrades were killed instantly. Basnight was air evaced to Germany and then flown to Maryland where he underwent surgery to repair his ankle. Army Sgt. Michael Puccini was injured while on maneuvers and military hospital officials are keeping the family informed several time each hour, as his condition changes. The full extent of Puccini's injuries are unclear, but appear to be inhalation injuries as opposed to firearms injuries, Blevins said. "Last we heard, he has opened his eyes and is doing a lot better," Blevins said. "Hospital officials said he is a level above what they had called life-threatening, which is good." Spc. Andrew Sullens was hit with shrapnel in Afghanistan. He was wounded in mid-May along with Sgt. 1st Class Jeffrey Boyles, Spc. Anthony Landowski and Pvt. 1st Class Shane Richardson when their vehicle ran over an improvised explosive device (IED). All are deployed with Charlie Troop of the 108th Cavalry, a reconnaissance, surveillance and target acquisition outfit tasked with training Afghani policemen. Sullens suffered a broken leg and hip, Boyles sustained an injury to a vertebrae that did not damage his spinal cord, and Landowski received injuries including a fractured elbow, two broken legs just above the ankles and facial lacerations, according to a military report. The least seriously injured was Richardson, who was driving the vehicle and had a laceration to his forehead. The Washington Post is reporting the deaths of four U.S. ISAF soldiers in a roadside bombing in an undisclosed province in eastern Afghanistan on Monday, July 20th. CNN is reporting the death of a coalition service member in a vehicular accident in an undisclosed location north of Kabul in Afghanistan on Tuesday, July 21st. Two additional soldiers and an Afghan interpreter were injured in the incident. The British MoD is reporting the death of a British ISAF soldier in an IED blast in an undisclosed location in central Helmand province, Afghanistan on Monday, July 20th. #1: A one-year-old baby and a girl of eight were among three people killed when a bomb exploded at a market in the capital's Shiite slum district of Sadr City, police and the defence ministry said. Fifteen others were wounded. #2: Another two people were killed and 30 wounded in an earlier twin bomb attack in Sadr City, a sprawling district in northeastern Baghdad. #3: Also in the capital, Water Resources Minister Abdel Latif Jamal Rashid escaped a bomb attack as his convoy drove through the central district of Karrada, security sources said. His ministry denied Rashid was the target. Six passers-by were wounded when the bombs exploded near a bridge. and up to12 people wounded in the minister's convoy incident. Earlier, the police put the toll of the minister's convoy incident at wounding three traffic policemen and three civilians. #4: A car, parked outside a fuel station near the al-Rasheed wholesale vegetable market in Baghdad's southern district of Doura, detonated before midday, killing a civilian and wounding four others, the source told Xinhua on condition of anonymity. #5: In a separate incident, a roadside bomb went off near a Sunni mosque of Adelah Khatoon in Bab al-Muadham area in downtown Baghdad, wounding six people, the source added. #6: Monday Around 7 p.m. Mortar shells slammed into the Iraqi military academy in Rustumiyah area in Baghdad. No casualties report. #7: Monday Around 9 p.m. a sticky bomb exploded in a civilian car in Al Dora neighborhood injuring the driver and three other people were passing by. #8: Twelve members of the same family were hurt when the minibus they were travelling in was struck by a roadside bomb in the northern Baghdad neighbourhood of Baab al-Muadham. They were taking the body of a dead relative from the morgue to his burial when the minibus was hit. #1: Five Sahwa council members on Tuesday were wounded when an explosive device hit their vehicle near Hilla city, according to a local police source. “A roadside improvised explosive device (IED) detonated in al-Farsi area, al-Maseeb district (45 km north of Hilla) while a vehicle carrying Sahwa personnel was passing the location,” the source told Aswat al-Iraq news agency. #1: An officer and a civilian were wounded when an explosive device went off in southwestern Mosul city, a local police source said on Tuesday. “On Monday (July 21) evening, an improvised explosive device (IED) targeted the car of a major in the information office in Raas al-Jada area, southwestern Mosul, wounding him along with a civilian who was in his company,” the source told Aswat al-Iraq news agency. #2: Monday Gunmen killed a traffic policeman in Al Risala neighborhood in Mosul. Few minutes later another traffic policeman was killed in Bab Al Tub area and a traffic police officer, 1st Lt, and a civilian were killed also near the northern bus station in Mosul by gunmen. Another traffic policeman was killed by an explosion as he was trying to check an object that turned out to be a roadside bomb. - One gunman was killed as he was trying to place a roadside bomb in central Mosul. #1: A suicide bomber in a moving car and a bomb in a parked car detonated near-simultaneously near a group of restaurants in Ramadi, capital of western Anbar province, killing three people and wounding 13 others, police said. Another police source said one person was killed, but 18 were wounded. “A state of emergency has been declared in Ramadi because of intelligence there is a third car filled with explosives in the city,” a police officer who declined to be named said. #1: Three days of clashes between security forces and militants in northwest Pakistan near the Afghan border left more than 56 militants and six soldiers dead, the military said Tuesday. There was no way to independently confirm the casualty figures because access to the affected regions was restricted for journalists. The vast majority of the deaths occurred during a two-day operation Sunday and Monday in the Maidan area of Lower Dir, a region bordering the Swat Valley where the army has been wrapping up an offensive against Taliban militants. More than 50 militants died in the clashes, said Maj. Fazlur Rahman, spokesman for the paramilitary Frontier Corps. The army also confirmed the toll. #2: Eight Taliban militants attacked three government buildings and a U.S. base in two eastern cities Tuesday in near-simultaneous attacks. Using suicide bombings, gunfire and rockets, the militants attacked the governor's compound, the intelligence department and the police department in the eastern city of Gardez just before 11 a.m. (0630GMT; 2:30 a.m. EDT), officials said. A rocket fired into the intelligence department killed three officers, said Ghulam Dastagir, the province's deputy police chief, while a suicide bombing in front of a police station killed two police. A rocket was also fired at the governor's house, he said. A total of four attackers were shot and killed at the police station and the governor's compound, Dastagir said, including at least two bombers clothed in women's burqas, said Interior Ministry spokesman Zemeri Bashary. #3: Three militants, meanwhile, tried to attack a U.S. base in a second eastern city at nearly the same time. U.S. and Afghan forces killed two of the assailants at the base near the city of Jalalabad, said Mohammad Ayub Salangi, the provincial police chief. U.S. military spokesman Lt. Robert Carr said a third attacker was captured. #4: In other violence, 10 Taliban were killed and three other militants wounded while making bombs Monday in a house in Ghazni province, said Gen. Khail Buz Sherzai, the provincial police chief. A bomb detonated prematurely and killed them, he said. #5: Taliban fighters kidnapped 13 workers from a construction firm in the Wazi Zadran district of Paktia, district chief Abdul Wali Zadran said. #6: Four Afghan soldiers and 13 Taliban fighters were killed during an operation in northern Kunduz province, Afghan army General Murad Ali Murad said. Five Afghan troops and 12 Taliban were wounded. Matthew Katka, 20 suffered head injuries Sunday while patrolling in the southeastern area of the country (Afghanistan). Family spokesman Kevin Moody said his parents were told he was hit by a bullet or shrapnel and is in a coma. British Captain Harry Parker, 26, is seriously ill in Selly Oak Hospital, Birmingham after suffering multiple injuries in the explosion, according to The Sun. His father is Lieutenant General Sir Nick Parker, who is the Army's third most senior officer and will become Deputy Commander of NATO forces in Afghanistan in September, the newspaper said. Capt Parker was injured by a bomb as he led a foot patrol of the 4th Battalion The Rifles in Helmand on Saturday, it was reported. The British MoD is reporting the death of a British ISAF soldier in an IED attack near Sangin, Helmand Province, Afghanistan on Sunday, July 19th. MNF-Iraq is reporting the death of a Multi-National Division - West Marine in a combat-related incident in an undisclosed location in Iraq presumably in Al Anbar province on Sunday, July 19th. Local news station WCCO is reporting the death of a U,S. Army Ranger Ben Kopp at Walter Reed Medical Center in Washington D.C. on Saturday, July 18th. He was originally wounded in a small arms fire attack/shot through the leg in an undisclosed location in Afghanistan. 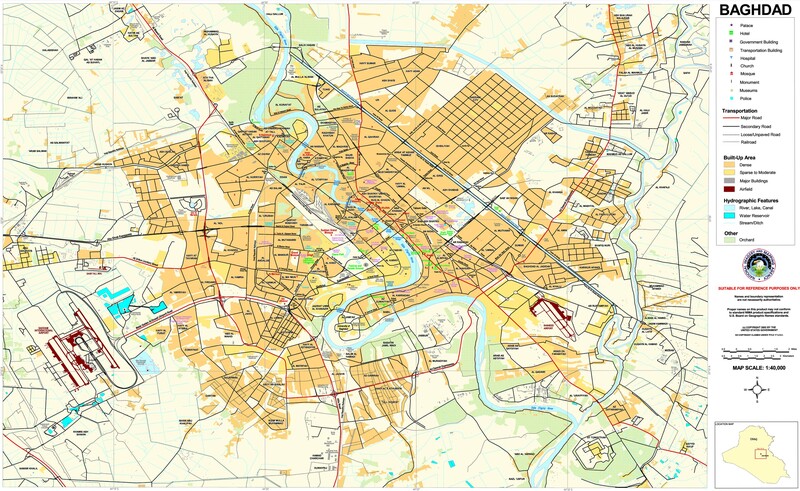 #1: Sunday Around 2 p.m. An adhesive bomb detonated in alMada'in town southeast Baghdad. The bomb was stuck to the car of alMada'in Shawa leaders Mahmoud Abdullah detonated killing him and inuring a civilian. #1: A farmer was killed when an improvised explosive device (IED) went off in the district of Jalawlaa on Monday, a security source in Diala said. “The charge exploded in a farm in the village of Jaghat, Tabaj, Jalawlaa district, (30 km) southwest of Khanaqin, killing a farmer,” the source told Aswat al-Iraq news agency. #1: Around noon, a sticky bomb targeted Iraqi FPS (Facilities Protection Services) captain Humadi Othman as he was driving his car in Al Taji north Baghdad. Two were injured including Othman. #1: An Iraqi soldier was killed and three others were wounded by a roadside bomb detonated targeting their vehicle in Abu Ghraib area in west Baghdad around 11 a.m.
#1: Two Katyusha rockets landed within the environs of the U.S. military camp ECHO in western al-Diwaniya province on Monday but no information was available on possible losses or casualties, a local security source said. “The missiles landed in ECHO camp, (3 km) west of Diwaniya, of the U.S. forces. We could have immediate information on whether there were casualties or losses,” the source, who is from the Diwaniya Operations Room, told Aswat al-Iraq news agency. #2: Meanwhile, the same source said police forces in Diwaniya found on Monday an unidentified body of a man clad in uniform in the area of al-Nahr al-Thalith, (65 km) east of the capital city of al-Diwaniya. #1: A blast that targeted a military convoy escorted by Iraqi security forces in northern al-Nasseriya city was caused by a stun bomb and left no casualties or losses, a spokesman for the U.S. army in Thi-Qar province said on Monday. “A 36-vehicle U.S. convoy was transporting logistics from al-Taleel base, (18 km) southern Nasseriya, to Missan province,” the spokesman told Aswat al-Iraq news agency. He did not give further details. #1: An improvised explosive device (IED) went off on Monday near a U.S. convoy in the area of al-Husseiniya, north of Karbala, a security source in the province said. “An IED planted on the side of the road leading to the area between Karbala and al-Husseiniya, (20 km) north of Karbala, targeting a U.S. convoy that was returning to a U.S. army headquarters,” the source told Aswat al-Iraq news agency. #1:" Policemen in Arbil found the body of a fellow cop showing signs of having been stabbed to death west of the province, a local police source said on Monday. “The police found today (July 20) the body of a policeman in the rank of commissioner inside vehicle on the road linking Arbil to the western district of Makhmour,” the source told Aswat al-Iraq news agency. “The 40-year-old victim, who worked for the Arbil Police Department, had his hands tied and showed signs of having been stabbed with a knife,” the source said, adding the body was removed to a morgue in Arbil. 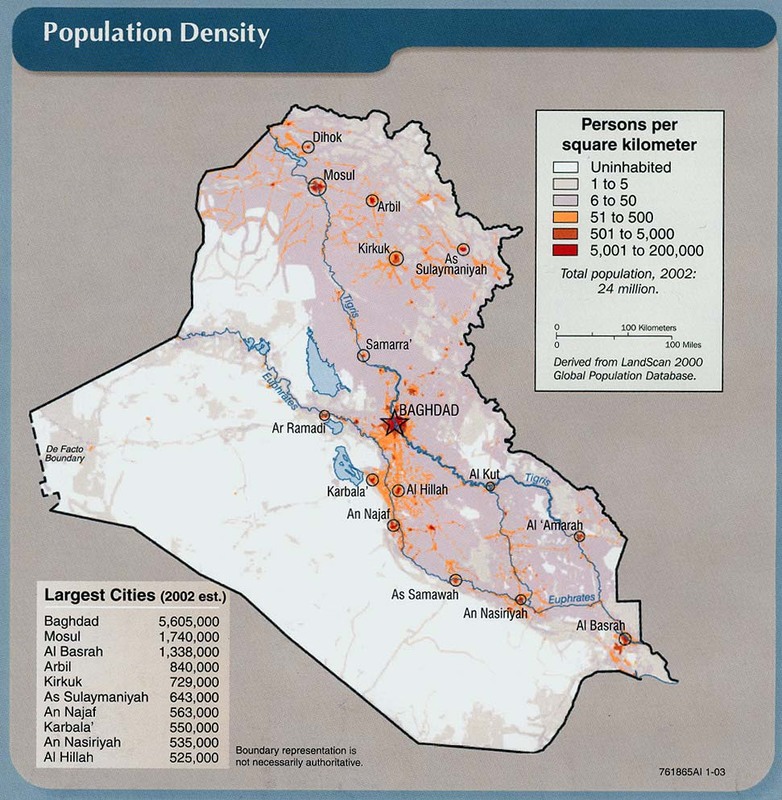 #1: Gunmen shot dead an off-duty policeman in central Mosul, 390 km (240 miles) north of Baghdad, police said. #2: A roadside bomb killed a policeman while he was trying to defuse it south of Mosul, police said. #3: Gunmen shot dead a traffic policeman heading to work in southwest Mosul, north of Baghdad, police said. #4: Gunmen shot and killed a traffic policeman in east Mosul. #5: A bomb went off killing a militant who was planting the device in eastern Mosul on Saturday, police said. #1: Iraqi authorities say a car bomb has killed two police officers and injured eight civilians west of Baghdad. Maj. Gen. Tareq Youssef, the police chief of Anbar province, says the attack happened Monday morning near local government offices on the main street of Ramadi, the provincial capital that was once a stronghold of Sunni insurgents. #1: A British fighter jet crashed inside NATO's largest base in southern Afghanistan on Monday. The Royal Air Force GR4 Tornado crashed inside Kandahar Airfield during takeoff at 7:20 a.m. Afghanistan time (0250 GMT; 22:50 Sunday EDT), said Capt. Ruben Hoornveld, a spokesman for the NATO-led force. The two-member crew ejected and were being treated for unspecified injuries at the base hospital. #2: Gunmen ambushed a police patrol in Pakistan's volatile northwest Monday, killing four officers. Two officers died during the ambush on the outskirts of Peshawar city early Monday, while two others died later at a hospital from multiple bullet wounds, senior police official Nisar Khan said. The roadside bomb targeted a vehicle of the Frontier Constabulary in the Bannu area, killing one and wounding seven constabulary officers, local hospital official Mohammad Jawed said. One of the wounded was a senior constabulary officer, Bannu police chief Iqbal Marwat said. #3: Two Romanian soldiers were wounded in the Romanian military base in Qalat, Afghanistan, after an insurgent attack from many directions with rockets and infantry weapons, reads a press release of the Romanian Ministry of National Defence on Sunday. Following the attack, Sergeant Florin Emil Cojocaru and Corporal Gheorghita Paval have suffered wounds in the face area. #4: A roadside bomb killed 12 civilians travelling along a dirt road between Gulistan and Delaram districts in western Farah province on Sunday, the provincial governor and an eyewitness said. Another four were wounded. #5: German soldiers killed two Afghan civilians, including a child, when a vehicle failed to stop while approaching a military post in northern Afghanistan on Sunday, the German Defence Ministry said. The pickup truck failed to stop despite several warning shots being fired, the ministry said on its website. Another two people were seriously wounded. #6: Pakistani warplanes bombed Taliban positions in a pre-dawn strike in the Orakzai tribal region on Monday, destroying 11 bunkers and killing five militants, a senior government official said.